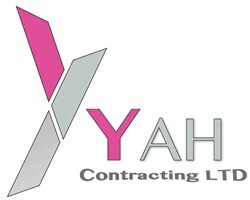 YAH Contracting Ltd - Cleaning Services based in Eastbourne, East Sussex. YAH Contracting is based in Eastbourne, East Sussex. A family run business with over 25 years’ experience across a variety of construction related projects. The Company started trading in 2015 and since then we have completed successfully many projects with blue chip clients. Decoration: We employ highly skilled painters and decorators that are open to travel nationwide. Carpentry/Dry Lining & Ceilings: We have a wide range of skilled tradesman that can carry out all different aspects of carpentry, dry lining, ceilings and flooring. Commercial contract cleaning: We employ a number of cleaners depending on the size of a job to carry out builders cleans, sparkle clean, Fascia Cleaning and Jet-washing. We offer project management services: By highly skilled project managers with 27 years of experience including design and build contracts. Eastbourne, Hastings, Bexhill, Within M25, London, Kent, Reading.